This book exposes Adolf Hitler’s theology and abuse of religion as a means to seize political power and ultimately instigate World War II and genocide. In Hitler, God, and the Bible, international evangelist and best-selling author Ray Comfort, exposes Adolf Hitler's theology and abuse of religion as a means to seize political power and ultimately instigate World War II and genocide. This fascinating study mines the depths of Hitler's beliefs and convincingly argues that without Hitler's misuse of Christianity, the Third Reich would not have had its legendary rise, resulting in the deaths of more than ten million innocents. Highlighting Hitler's youth, his influences, and his path to seducing a nation, Hitler, God, and the Bible is a fresh, stinging reminder of the power of the cross and how its misuse led to the Final Solution. 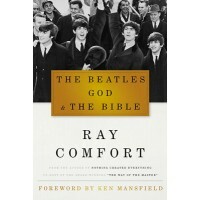 "Ray Comfort is to be commended for this well-researched and well-written account." "A must read for everybody. A big eye-opener. I heavily recommend it." "As History's clock keeps ticking, her most sinister moments fade into distant memories. With every passing moment we risk repetition. Ray Comfort issues a clarion call to recollection, lest we unnecessarily suffer again the deceptions of a previous generation." "After visiting the concentration camps of Buchenwald and Ohrduf, General Eisenhower wrote to General Marshall, ‘I made the visit deliberately, in order to be in a position to give first-hand evidence of these things if ever, in the future, there develops a tendency to charge these allegations merely to ‘propaganda.’ Amazingly, there are people today who would tell us that Hitler’s atrocities never took place. Similarly there are others who would tell us that Adolf Hitler was a Christian. Eisenhower's testimony and Ray Comfort's book, Hitler, God, and the Bible, should put an end to such silly speculations." —Todd Friel, Host: "Wretched TV" and "Wretched Radio"
"We must learn from the mistakes of the past. 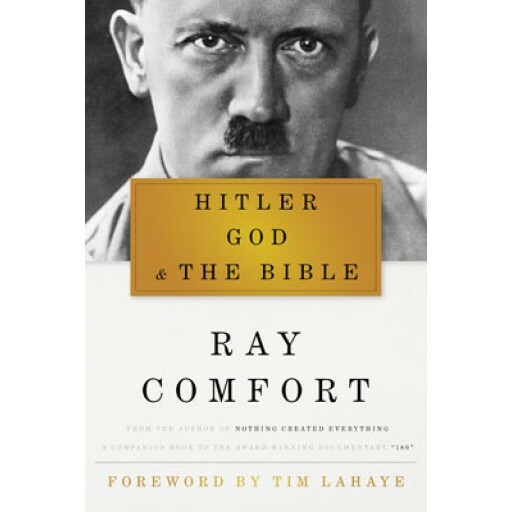 In his book, Hitler, God, and the Bible, Ray Comfort has insightfully provides a way for us to look back on one of the most horrific mistakes of history and see what we are capable of, when left to our own depravity. May we never forget." 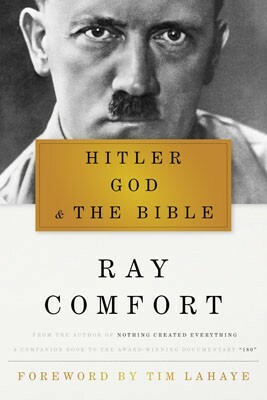 "Ray Comfort's carefully detailed look at Hitler's dark ideology and theology is thought provoking, and heartbreaking. It also shines a bright light on the importance of knowing truth, and the love of God. You will indeed be informed, equipped, awakened, and challenged." "Growing religious skepticism, political-correctness and concerns about terrorism have re-energized a lie that has been with us for over half a century. Professors, comedians and commentators alike have increasing begun to draw parallels between Christian and Islamic "fundamentalists"; arguing that "true believers" of either ilk are capable of great harm. Inevitably, Exhibit A, is trotted out: Hitler was a Christian and the Third Reich was an attempt to establish a Christian civilization. Comfort, in his inimitable fashion, has done the cause of Christ, truth and history a great service by exposing this vile mythology and showing us what really lay at the center of Der Fuehrer's heart of darkness." 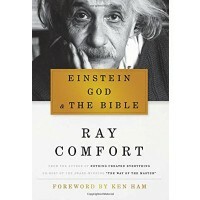 "Any book by Ray Comfort is thought-provoking and life-changing! This book is no different – it’s so relevant, yet timeless. He is the best there is at addressing complex and puzzling issues, in a clear, understandable way. Run, don't walk, to get this book!" "The first practical biography of arguably the world’s most notorious mass murderer, Hitler, God, and the Bible takes a direction other biographers have routinely ignored. Finally the rumor can be put to rest as to the truth of Hitler’s self-serving, false "Christianity." This is a most important work—imagine the eternal impact Ray Comfort’s accessible and gospel driven book would have should it be required reading in every high school and college social science class!"